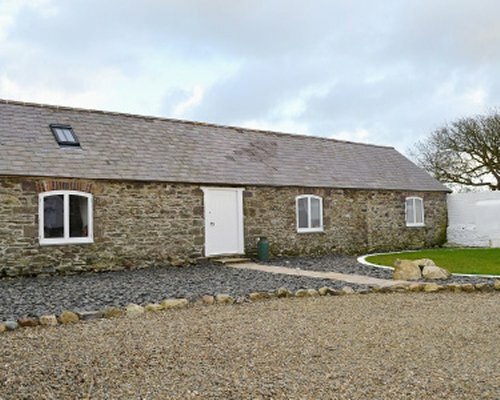 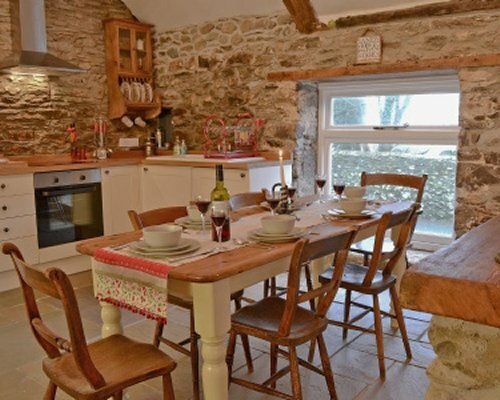 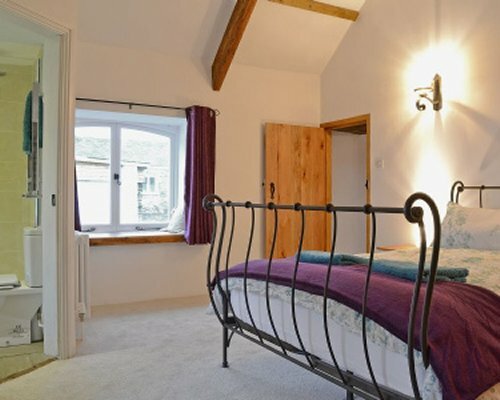 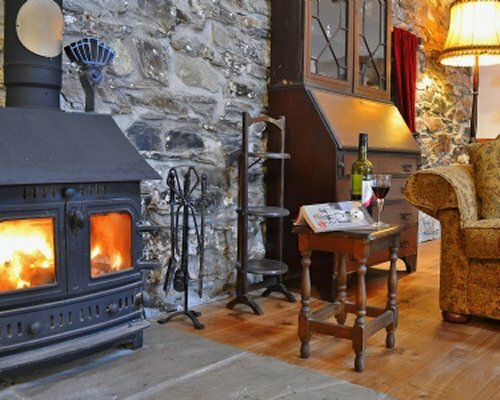 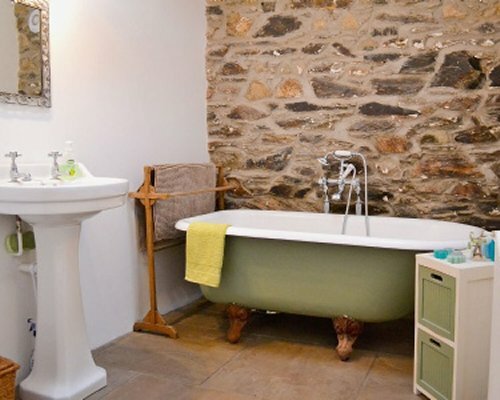 Nestling peacefully in the charming village of Mathry with its Welsh pub and cafe, this traditional Pembrokeshire long barn has been converted to a very good standard, and lies just a stone's throw away from the delightful Abermawr Bay. 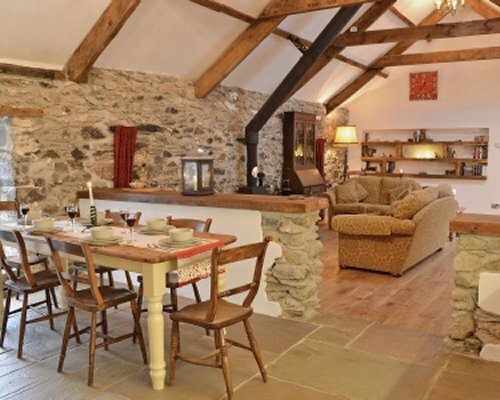 Swallows Lodge, originally built in 1650, offers comfort and space, and is set on the edge of Pembrokeshire's iconic National Park. 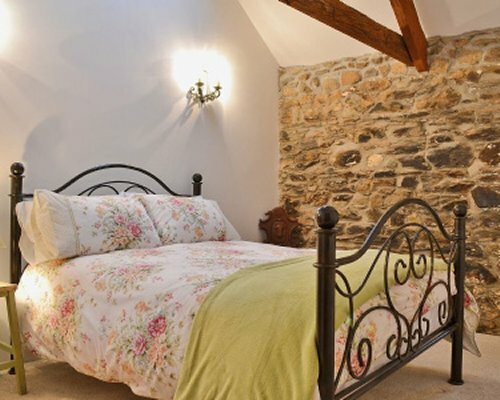 The former dairy barn has been lovingly restored to provide guests with an unforgettable holiday experience. 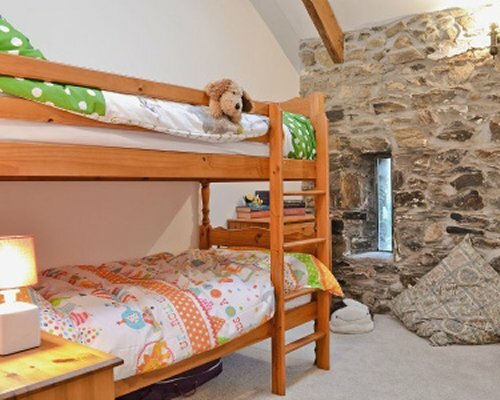 Remarkable attention has been taken to ensure all the character and charm has been retained including exposed beams, stone walls, arrow slit windows and oak and limestone floors. 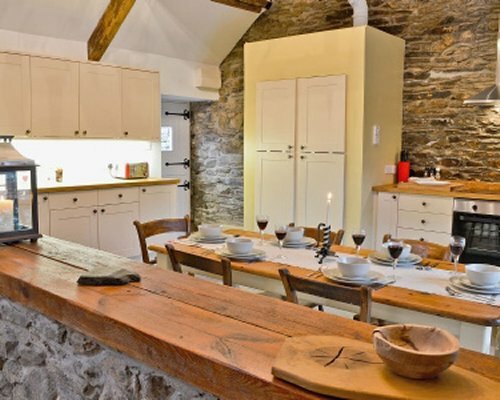 It has been decorated in neutral tones with quality furnishings and a well-equipped, bespoke kitchen. 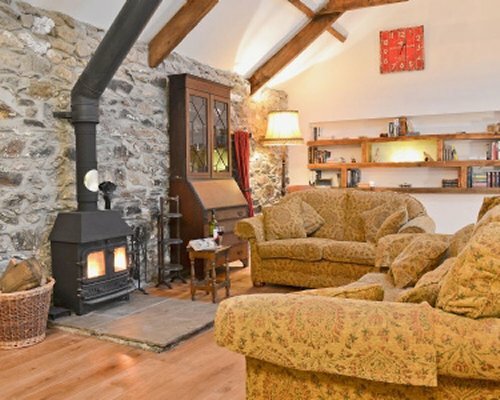 The open-plan living room boasts an impressive vaulted beamed ceiling, whilst a wood-burning stove has been added to provide guests with a wonderful cosy ambience at any time of year.